I am an absolute sucker for romantic wedding videos. I also think that watching other people’s wedding videos is the best way to know what style you like! So, I’ve gathered a few of my favourites, so you can be inspired. Get the tissues! A video captures what photos can’t. A video captures the vows and speeches particularly which is always great to rewatch as people can forget what was said during the speeches. Also a video gets more cherished as it gets older. It becomes treasured as the years pass. A video is worth getting and you’ll never regret it but as a recent survey showed, the biggest regret couples had was not getting a wedding film. We would recommend couples to have a wedding videographer to film their wedding day as it provides a medium which enables you to relive the most important day of your life over and over again and keep the memories of your wedding fresh in your mind for many years to come. A wedding day is like a rollercoaster in a lot of ways. You get on it when you wake up that morning and it’s nonstop until you both fall into bed the next night. (Early morning more likely!) The next day, you won’t believe it’s all over, and you’ll want to go back and do it again, and with video, you kind of can. Photographs are great, but there’s no substitute for hearing those magic words from you or your partner as you say “I Do.” There’s no substitute for hearing and seeing someone make a speech in years to come when you might not have that person around to say those things anymore. There’s no substitute for sitting down in 20 years with the love of your life and remembering that day when a new chapter of your life began. If you have kids, there’s no substitute for them to look back on not just you both getting married, but themselves running around enveloped by the madness of a wedding day. A video won’t sit under your coffee table gathering dust. When you’re having a bad day, you can turn on your phone and with your highlight video, be transported again. On your anniversary, every anniversary, you can crack a bottle of wine, curl up on the couch and watch as two hearts became one. 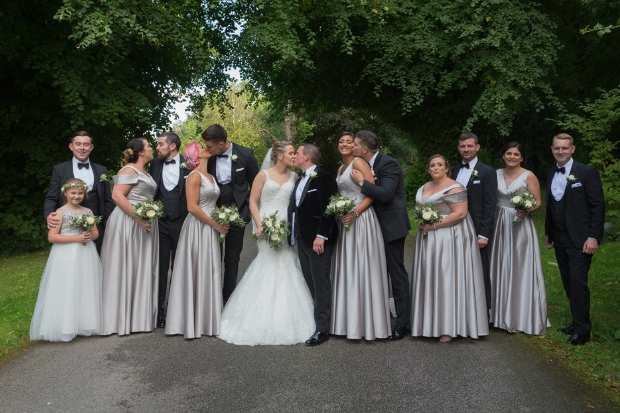 This was a wedding where everything fell perfectly into place – a combination of the weather and the light, a stunning venue/location in Castle Leslie, and people being in great spirits. The moment when Laura’s father sees her and they both experience a crescendo of emotion before the ceremony even starts is a moment that future generations can look back on in delight and wonder. There’s a beautiful exuberance to this piece in its movement and pacing, and I couldn’t imagine a more perfect representation of the love this couple and their friends and family share. So much stuff needs to be organized for the wedding. There is a cake which will be eaten. Flowers which will be gone in a couple of days. Champagne will be drunk in a couple of hours. The dress will be worn once. So many little details. And people, your guests, friends, family. The only real memory will be left of the day it’s your Wedding film and Wedding Video. 99% of brides who had no Videographer – regretted. Do not be one of those. A wedding day is such a special moment. It has been carefully planned out with painstaking work for months or years and it will be forever remembered. Capturing this day on video gives couples the chance to relive this day after the dust has settled and for forever more. After I deliver wedding videos to couples, they are often overcome by emotion at seeing all the priceless footage of their loved ones celebrating this happy and once-in-a-lifetime occasion. It is inevitable for them to experience the wedding day as one hectic and excited blur, so the video becomes a treasured memento that allows them to savour all the love and emotion shared on this day again and again. The latest technology allows us to make very high quality videos. Gadgets such as drones help us capture majestic shots of venues and wedding parties. Small-sized super high definition cameras can make brilliantly colourful shots, even in candle-lit rooms and on dance floors. These cameras are small and unintimidating, putting even the most camera shy at ease. It is a great opportunity to be able to capture your wedding day in such a dynamic and sophisticated way. 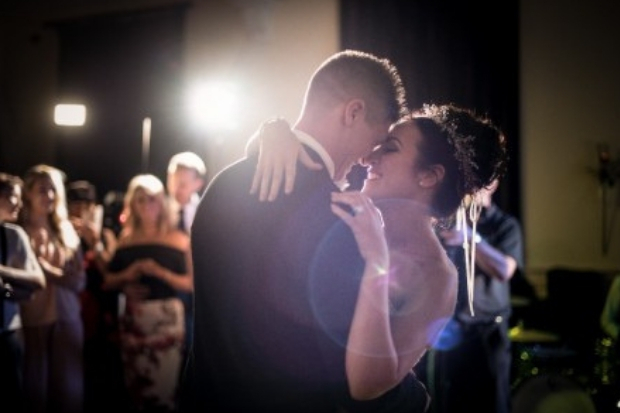 Your video will document all dimensions of your wedding day in vivid detail. It will allow you to forever treasure not only the most photogenic moments of your wedding day, but also to relive the laughter, the tears, the dancing, and the emotions.